I’m trying to bike for fun beside commuting. I can do it after work sometimes when I’m not tired so much. But I wanna do it regularly. So, I’ve decided to bike everyday and I’ll make a challenge by myself. 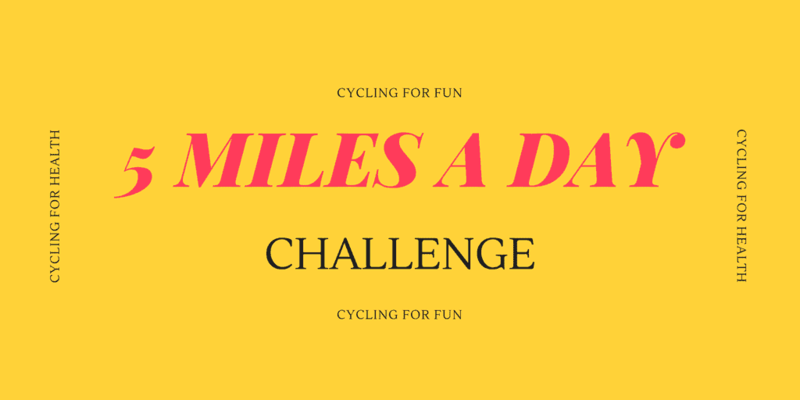 It will be my bike challenge 2017. Start with (at least) 5 miles (~ 8 km) a day. Record it via an app like Runtastic etc. In case some negative situations like being unusual tiredness or any other things, I specify the starting distance as 5 miles. I hope recording the distances that I covered will encourage me for more. Plus, sharing it here will give me an extra motivation. I’m gonna start tomorrow for this challenge and I have 4 days to the end of the week. So, the first week rules be valid for the next 4 days and the next week. Welcome Dino, to that little voice and thank you for following my blog. Thank you. I’ll read your posts with pleasure.